AMERICAN BACH SOLOISTS FESTIVAL San Francisco, 11-20 July 2014. Held at the San Francisco Conservatory of Music, the lineup this year features music by composers who influenced Bach, including Vivaldi, Pergolesi and Buxtehude; highlights of other programs are Handel’s L’Allegro, il Penseroso, ed il Moderato and Bach’s Mass in B minor (BWV 232). CARMEL BACH FESTIVAL Carmel-by-the-Sea, Monterey, Pebble Beach and Salinas, 19 July through 2 August 2014. Bach naturally figures prominently here. On opening night his Magnificat (BWV 243) and Vivaldi’s Gloria (reflecting this year’s Italian theme) will be programed alongside a work commissioned from the young Pulitzer Prize-winning composer Caroline Shaw. ASTON MAGNA Great Barrington and Waltham, and Annandale-on-Hudson, NY, 19 June through 19 July 2014. This early-music festival offers period-instrument programs including a celebration of C. P. E Bach’s three-hundredth birthday and a concert featuring Italian trio sonatas and a new work by Nico Muhly. BERKSHIRE CHORAL FESTIVAL Sheffield, 13 July through 3 August 2014. This festival is proof that amateur choral singing continues to thrive, as eager singers arrive from around the country for an intense period of study and performances. Their efforts will culminate in performances led by professional musicians of Brahms’s Requiem, Bach’s St. John Passion (BWV 245) and Elgar’s Dream of Gerontius. 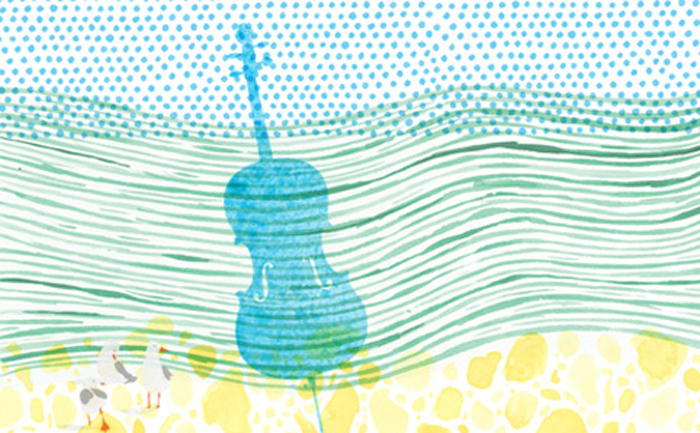 ROCKPORT CHAMBER MUSIC FESTIVAL Cape Ann, 6 June through 13 July 2014. An estimable roster of musicians will play here, including the Emerson and Borromeo String Quartets. Jeremy Denk will perform Bach’s Goldberg Variations (BWV 988) and Ives’s Concord Sonata. The lineup also features a concert for clarinet and marimba and performances by Chanticleer and the Imani Winds. GREAT LAKES CHAMBER MUSIC FESTIVAL Detroit, 14-29 June 2014. Bach is in the spotlight this year and the pianist James Tocco has programed an appealing array of repertory favorites and contemporary works. The pianist Frederic Chiu will juxtapose music by Bach and Philip Glass and the cellist Paul Watkins, the festival’s artistic director designate, will join Mr. Tocco for Brahms’s Sonata for Piano and Cello no. 1. SANTA FE CHAMBER MUSIC FESTIVAL Santa Fe and Albuquerque, 20 July through 25 August 2014. The pianist Yefim Bronfman is artist in residence at this festival, nestled in the Sangre de Cristo Mountains. He will play a solo recital of Prokofiev and Marc Neikrug; other highlights include a Bach series; new works by Lowell Liebermann and Brett Dean; and performances by Alessio Bax, Ran Dank and Sasha Cooke. BRIDGEHAMPTON CHAMBER MUSIC FESTIVAL 30 July through 24 August 2014. Concerts in various spots in Long Island’s East End include piano quartets by Brahms, Dvořák and Schumann; a premiere by Howard Shore; recent works by Kevin Puts, Gabriel Kahane and Evan Ziporyn; and Bach’s Concerto for Two Violins in D minor (BWV 1043). Performers include Brooklyn Rider and the pianists Gilles Vonsattel, Shai Wosner and Joyce Yang. CHELSEA MUSIC FESTIVAL New York City, 6-14 June 2014. The German-Brazilian theme this year is inspired by the anniversaries of Richard Strauss, Villa-Lobos and C. P. E. Bach. The multigenre concerts, held at various galleries and institutes and often intertwined with visual and culinary themes, feature ensembles including the Sirius Quartet and premieres by composers including Augusta Read Thomas. CHAMBERFEST CLEVELAND Cleveland, 19-29 June 2014. It’s never too early to celebrate an anniversary: This festival toasts its third birthday with a spotlight on music for trios, with works by Haydn, Kodály, Schumann, Beethoven, Kevin Puts and Paul Schoenfield, as well as an arrangement of Bach’s Goldberg Variations for string trio. Also on the lineup is a new take on Tan Dun’s Ghost Opera. CHAMBER MUSIC NORTHWEST Portland, 23 June through 27 July 2014. David Shifrin, the clarinetist and artistic director, has programmed a wide range of repertory, including Mozart’s Quintet in A Major, for which he will join the Emerson Quartet. The lineup also includes the premiere of Stephen Hartke’s piano sonata for four hands by Anna Polonsky and Orion Weiss; Sasha Cooke singing Mozart, Bach and Schubert; and music by David del Tredici and Osvaldo Golijov. OREGON BACH FESTIVAL Portland, Bend, Ashland, Corvallis, Florence and Eugene, 26 June through 13 July 2014. Matthew Halls, who succeeds Helmuth Rilling as artistic director, commemorates his debut season with the Monteverdi Vespers; Bach’s St. Mark Passion (BWV 247); a solo recital by the pianist Gabriela Montero; a performance by the organist Paul Jacobs; and Monica Huggett leading the Portland Baroque Orchestra. Mr. Rilling returns to conduct Mozart’s Requiem and Symphony no. 40. SEATTLE CHAMBER MUSIC SOCIETY 7 July through 2 August 2014. The violinist James Ehnes is the music director here. Programming features a strong roster of musicians – including Augustin Hadelich, Richard O’Neill, Edward Arron, Inon Barnatan and Anthony McGill – performing music by Bach, Beethoven, Bartók, Derek Bermel and David Lang.